The Lowrance Elite 7x HDI incorporates GPS capabilities with course plotting in order to make navigation on the water simple. Included is the 7-inch display screen, which offers a smooth, clear viewing experience. In this series of fish finders, Lowrance introduces the new skimmer transducer design, which allows the device to interface in most boat control panels and steering rooms. Along with the skimmer panel, the manufacturer outfits this device with broadband sounder technology, which is what allows this model to effectively function as a sophisticated piece of fish finding equipment. The new processor and motherboard will allow the user to gain a clear view of the surface and fish, in addition to the bottom surface and details under the water in real time. The advanced signal processing means that the user will not have to mess with controls and dials manually in order to get the best performance out of this device. This is an excellent new feature for the angler who wants to spend more time fishing and boating as opposed to dealing with electronics. 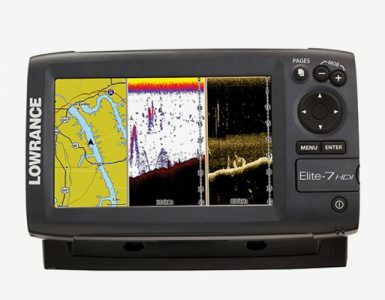 In order to really take advantage of the exploring, plotting and mapping functions of the Lowrance Elite 7x, this model is designed so that it will take micro SD cards. The SD cards can be used to display Hot Maps and Navonics, Fishing Hot Spots and Lake Insight. This means that the fish finder can be used with any available electronic map for North American boating or fishing waterways. The manufacturer has worldwide SD cards for those individuals who live for fishing outside North America, making this model a national navigation device. 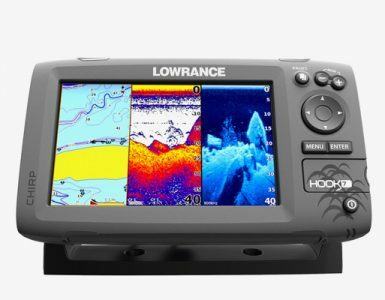 Anglers who love fishing in deep waters should use the Lowrance Elite7x HDI with the skimmer transducer pack. These packs are designed for such purposes and will provide updated and real time data as it becomes available to such organizations as the NOAA and the coast guard. 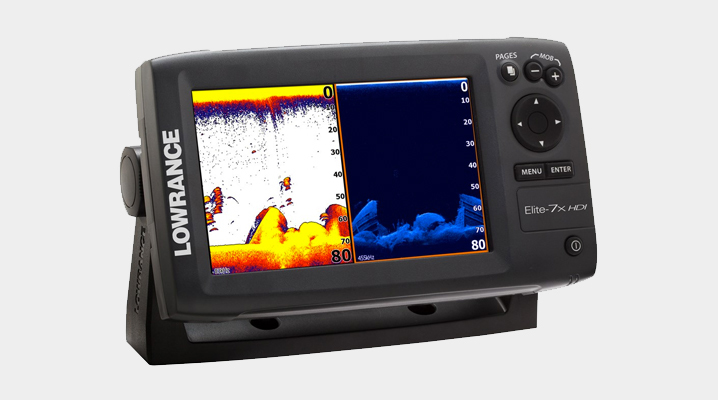 The variety of transducer packs will allow the user to truly customize the Lowrance Elite 7x HDI via 83 200 KHZ operation, in addition to down scan imaging for a depth of over two-thousand feet. This will open up more waterways for safer navigation. Also included is a full one year warranty. There are also service packages available at the time of sale and for up to three months after the purchase. These plans will extend the warranty and service up to three years. 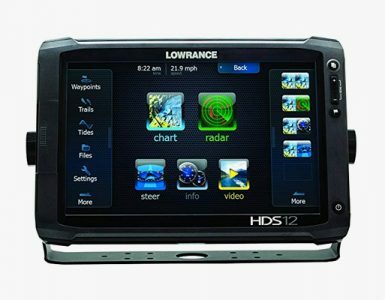 Consumers loved the fact that there were a number of options when it came to customizing this Lowrance fish finder model, the ease of use and the fish finding accuracy. This particular model is a consumer favorite and is designed for both beginners and pros.